Maybe you want to be romantic and do something wonderful for your girlfriend or your favorite Kpop artists, and you have no idea what to do. 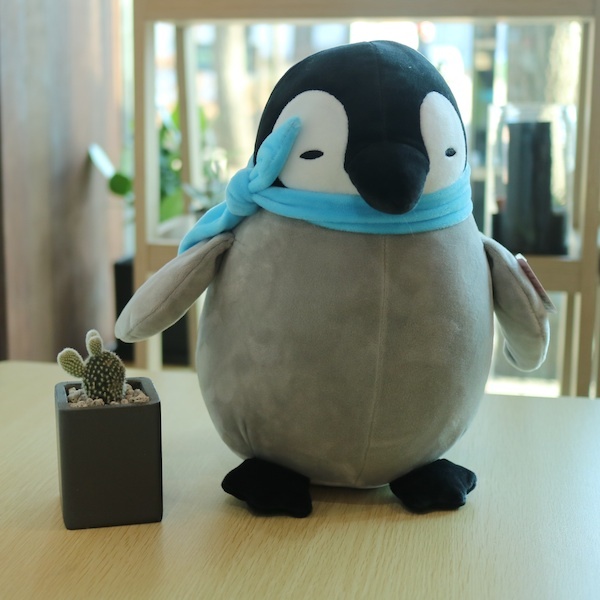 Well, we at Flower Gift Korea aren’t that creative either, but our past customers have had some really great ideas. 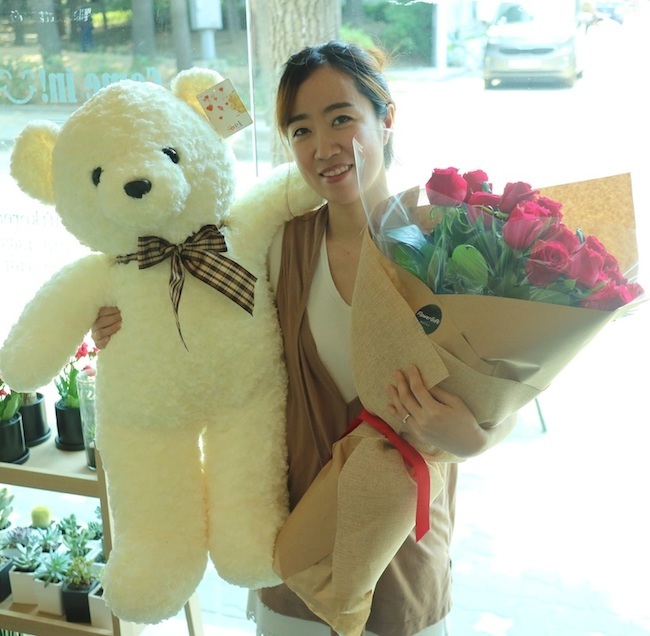 This post will share some of the wonderful things people have done for their special friend or friends in Seoul, South Korea, as well as in parts of Gyeongido and Incheon. Even though we would like to take credit for these practical gift ideas, we can’t. 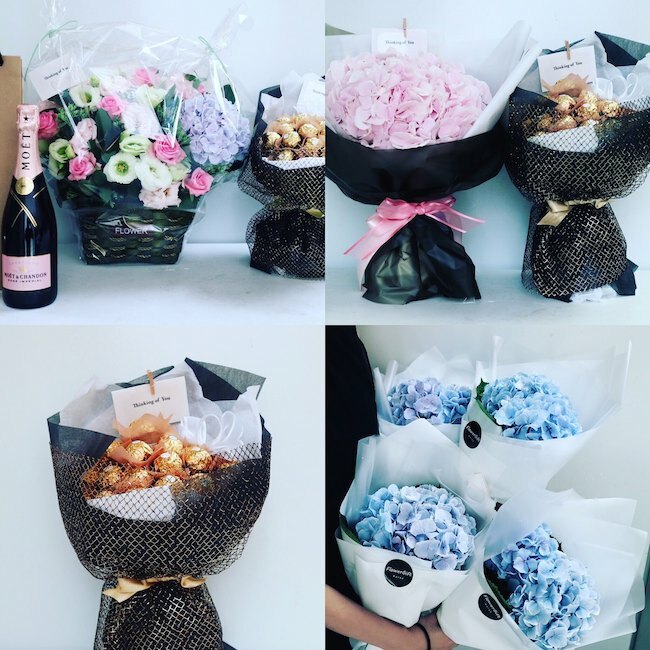 This is always a good romantic flower bouquet you can send someone in Korea. However, it would be even more romantic if a bottle of wine and some chocolates or a stuffed teddy bear accompanied the order. It’s always a good idea to send long stem roses, but it is a little more thoughtful to ask for a certain color arrangement. 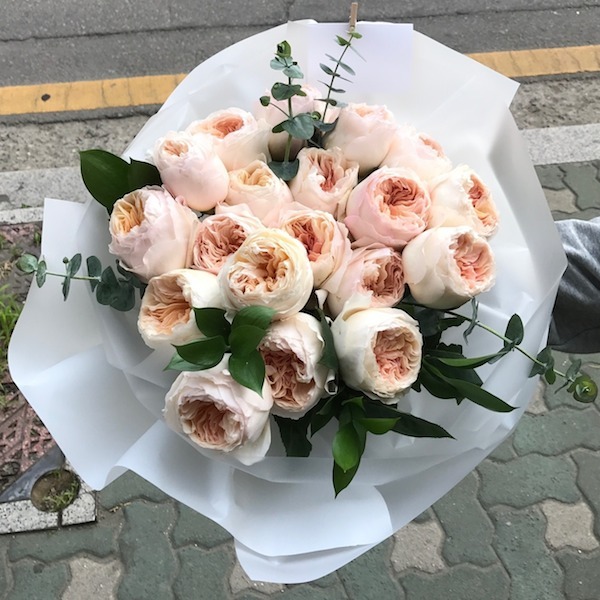 The person who sent this bouquet must be given credit though because this design did not exist on the Flower Gift Korea online shop. So that’s very thoughtful, but a bottle of wine and chocolates could have put this order over into the top 5. The more roses you send, the more romantic the gesture is. A 40 long stem rose bouquet is a lot more impressive than a 12 long stem rose bouquet. Also, this order deserves extra credit too because we didn’t have a 40 long stem rose bouquet option at that time. This bouquet is lovely and very thoughtful. This is a bouquet of David Austin Garden roses, which are imported from the US. They are exclusively made by the David Austin company, who are responsible for creating this Peony/Rose hybrid. 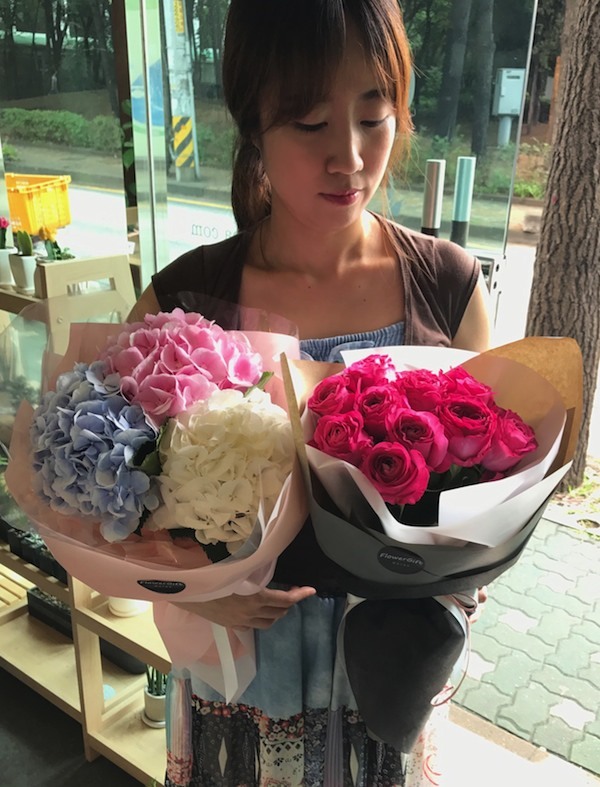 This bouquet is very thoughtful because it is very difficult to get these kinds of flowers in Korea. This flower bouquet must be ordered well in advance and these roses are one of the most expensive roses you can get. And! This specific rose bouquet did not exist, so it was a special request. And! It was for a wedding proposal in Seoul South Korea that ended very well! This special circle rose box was a special request. It did not exist on our website and the person who ordered this went through a lot of trouble for us to get his requests right. He asked us to create this product for him from scratch. 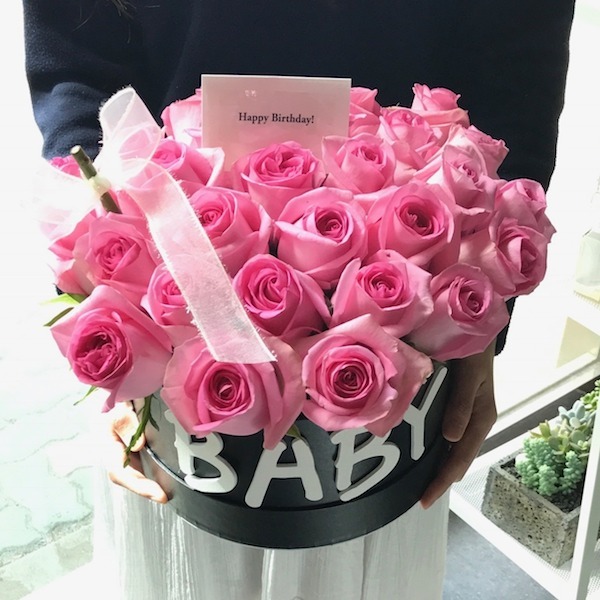 And the main reasons why this flower design gets the 11th spot in the Flower Gift Korea romantic flower list is that you can customize the letters placed onto the box and the recipient can keep the box as a memorabilia. This is a great combination of 3 different items that perfectly complement each other. And the great news is that there are two gifts to unwrap. 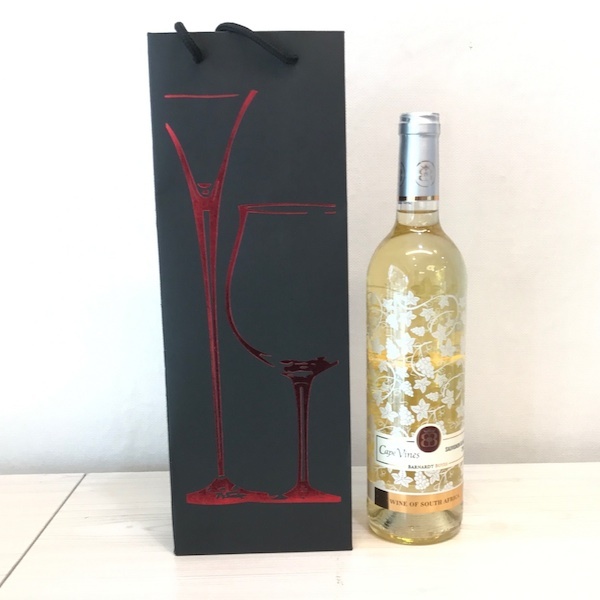 Unwrapping gifts makes the whole experience extra special and this order gets special credit because it was sent outside of our flower delivery range. So this person got extra creative and made a great set. The standing rose basket is always a safe choice. 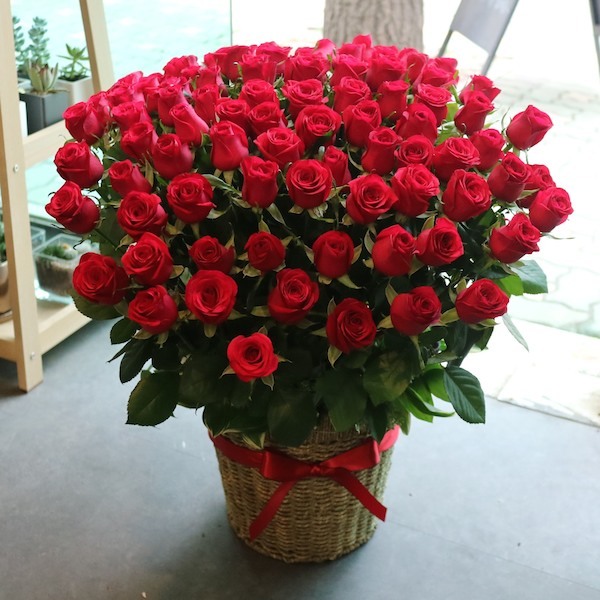 However, the higher the number, the more special the rose basket. 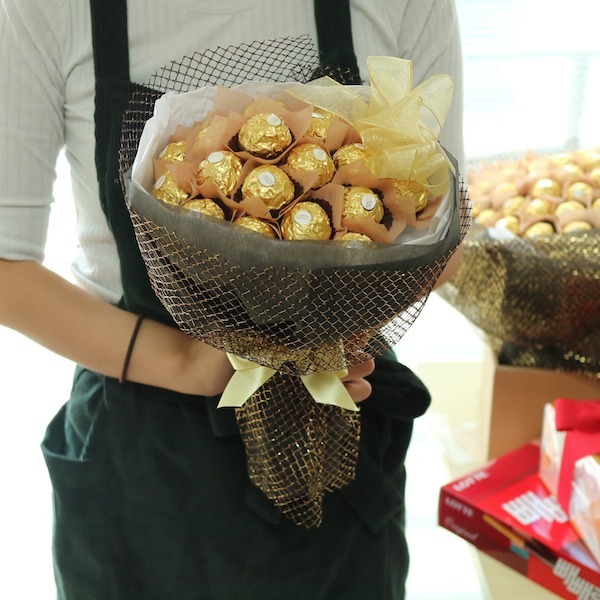 And sending a chocolate bouquet is also a special touch. There is something extra special with receiving two flower bouquets instead of one. When people receive a flower bouquet, they get really happy and surprised, but once they see two or three, they are left speechless. 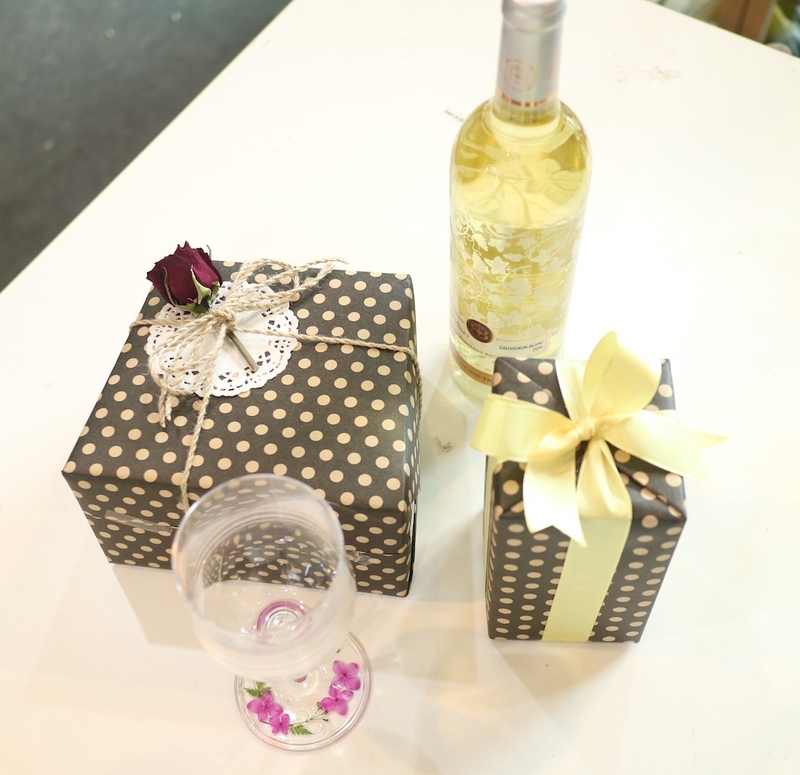 I know because I have a lot of experience delivering these special gift sets to people in Seoul South Korea. Here are another set of two flowers. This is ranked higher than than the previous set because there are more flowers in the flower designs. 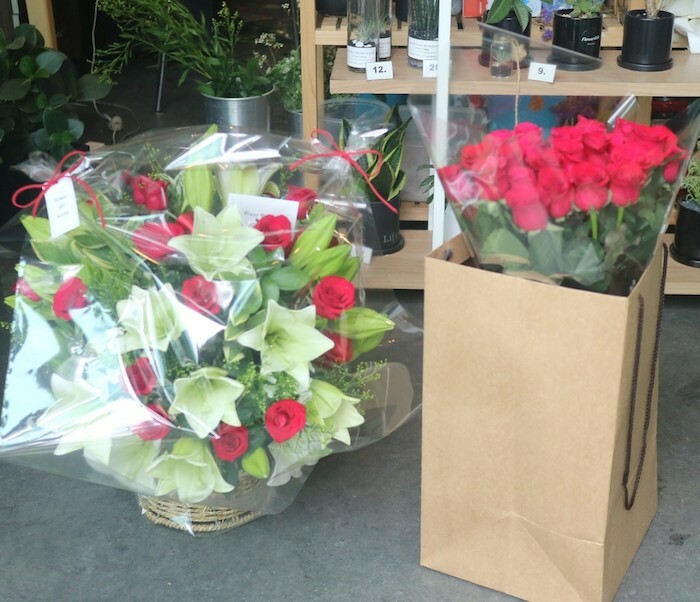 Also, if you are going to send two flowers to the same person, it is best to send one bouquet and one basket. Receiving a bouquet in your hand is extra special but a flower bouquet does not last as long as a flower basket design. The first set above was created by one of our customers, but the pepero set was created by us. It’s always special receiving three different types of gifts. There’s something special about receiving three things as oppose to receiving just one flower bouquet. 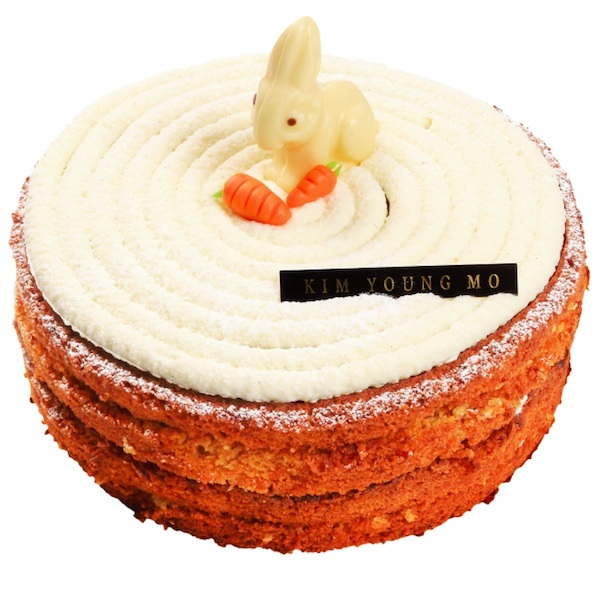 It’s always lovely getting a cake on your birthday and a flower basket, but what about two cakes! Yup, now that’s spoiling someone. And this flower basket is one of the most beautiful flower baskets we have on our website. Who doesn’t love getting a huge teddy bear? Everyone we have delivered a large teddy bear has actually screamed out loud. Now, add long stem roses and cake (not in image)! Now that is a birthday gift to remember! Now, this is extra special. 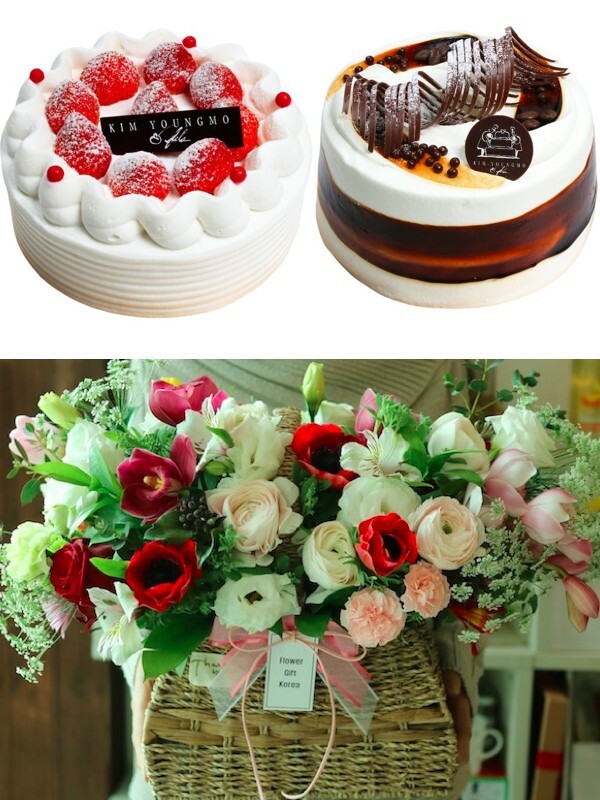 A flower basket, cake, and a custom made basket. The thing that really gives this the number number 3 spot is the custom snack basket. The customer actually sent us snacks from his country to Korea to use in the basket! So it took extra care for this gift set to happen. Now, getting 100 roses is super special! It’s not everyday you even see 100 roses in a basket, but getting that, plus a special gift, now that is extra special. We normally do not accept the type of request the customer made, buy he offered to pay extra. 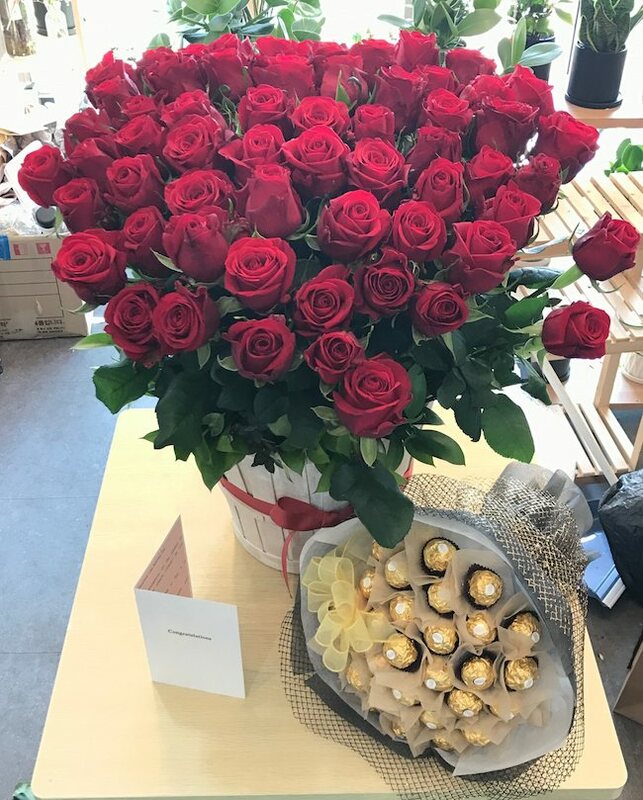 Even just 100 roses is super special, but another special request on top of that, wow! Now that is romantic. This is probably the most romantic and special order we have received. 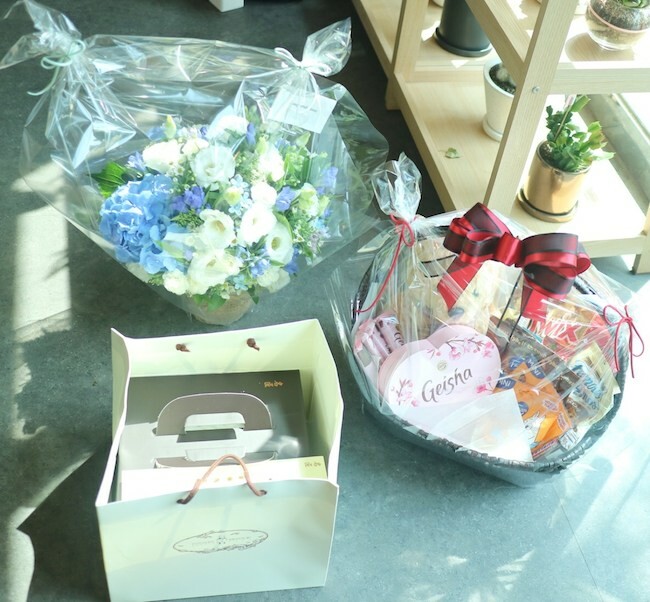 The customer asked for special bouquets to be made and sent a large portion of the gifts to one person, as well as smaller gifts to the other members of the group. Yup, this was sent to a celebrity. So this is probably the most romantic gift set we have made so far. So these are just 15 different romantic gift ideas that we remember. There are others that were prepared and delivered, but we sometimes do not take pictures when we are super busy. 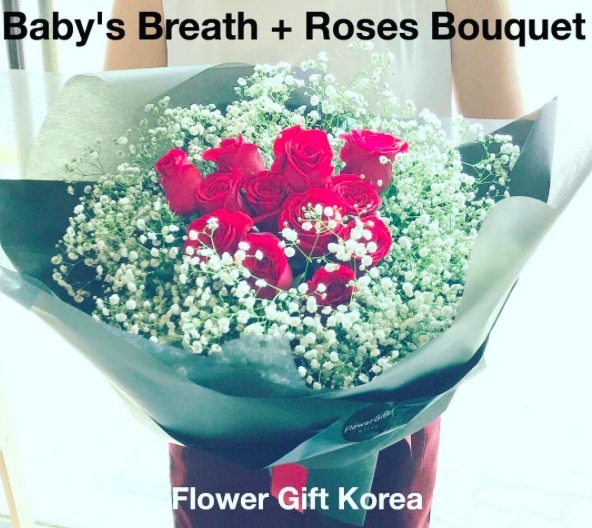 Well I hope you enjoyed these Flower Gift Korea Romantic gift ideas. In the end, there is no limit to what kind of combination you can make. But remember, the reaction is different when the person receives at least two different items than when receiving one. 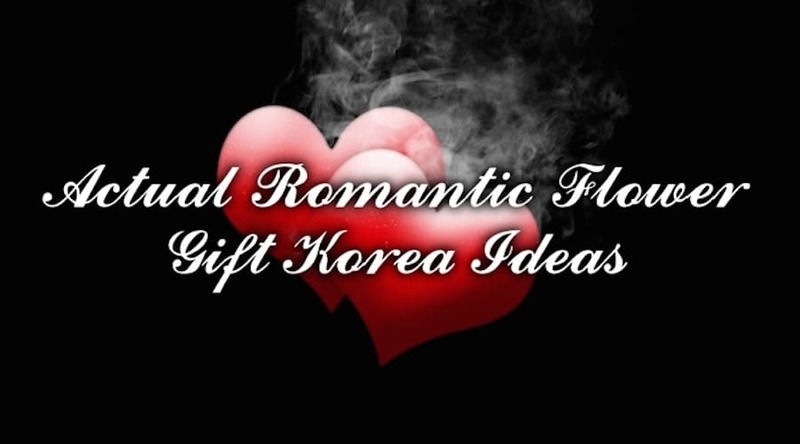 We at Flower Gift Korea look forward to receiving new romantic gift ideas and combinations from you!